This legendary subject comes from Erasmus Darwin's poem 'The Loves of the Plants' (1789). 'There is a poison-tree in the island of Java, which is said by its effluvia to have depopulated the country for twelve or fourteen miles...condemned criminals are sent to the tree...and are pardoned if they bring back a certain quantity of the poison'. This work was inspired by the writings of Erasmus Darwin (1731-1802), especially his "Loves of the Plants", which included an account of the Upas tree. A note on lines 237-8 of canto III reads, "There is a poison-tree in the island of Java, which is said by its effluvia to have depopulated the country for 12 or 14 miles round... With the juice of it the most posonous arrows are prepared; and, to gain this, the condemned criminals are sent to the tree... to get the juice...and are pardoned if they bring back a certain quantity of poison. But...not one in four are said to return. Not only animals of all kinds... but all kinds of vegetables also are destroyed by the effluvia of the noxious tree...the face of the earth is quite barren and rocky intermixed only with the skeletons of men and animals, affording a scene of melancholy beyond what poets have described or painters have delineated". 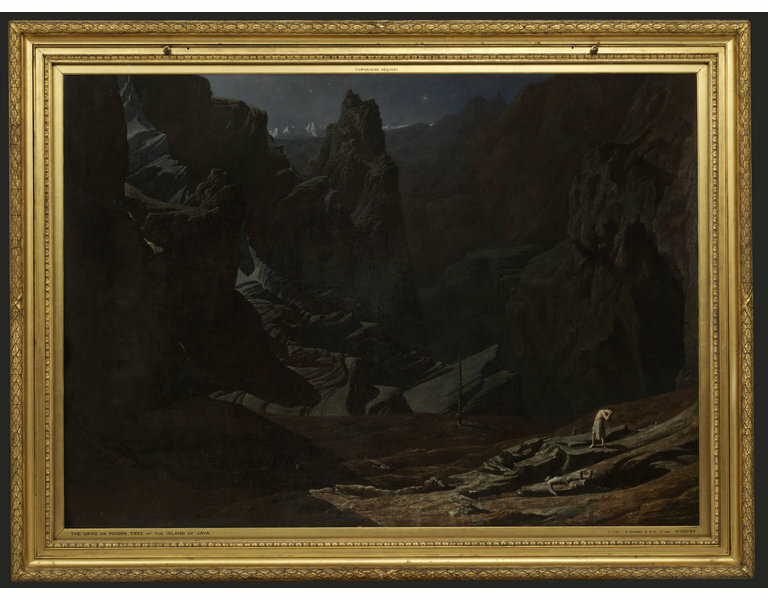 Francis Danby follows Erasmus Darwin's description, depicting a rocky landscape with the skeletons of criminals and animals, and two criminals, one dead and the other hiding his face in horror, with their boxes for collecting the poison. 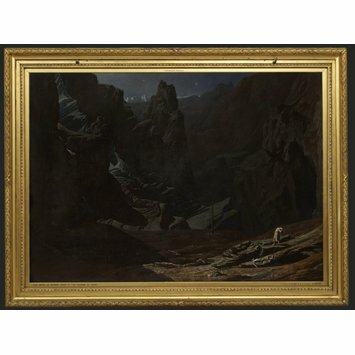 This was Danby's first exhibited work in London. 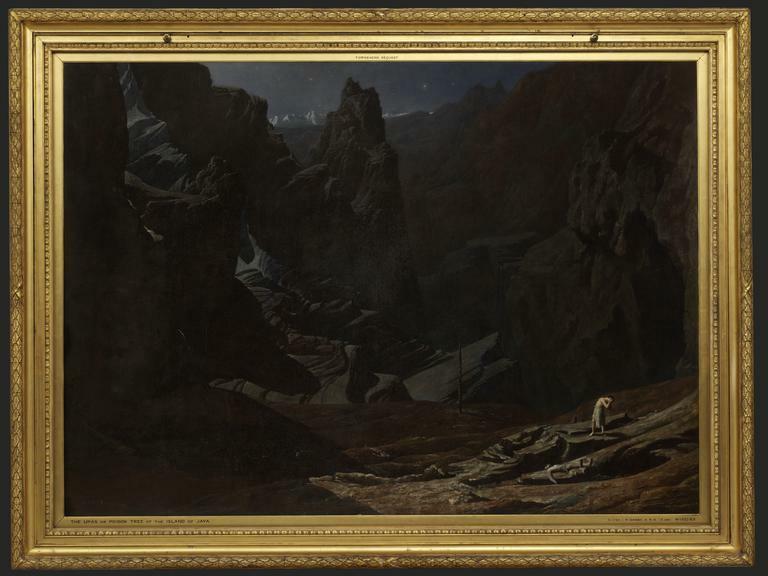 The work was much admired, but failed to sell, probably due to its size. Waagen, Galleries and Cabinets of Art in Great Britain: Being an account of more than forty collections of Paintings, Drawings, Sculptures, Mss, etc, London, 1857, pp.177.